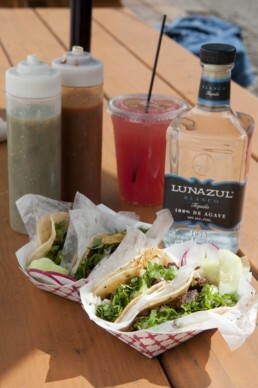 Complete Public Relations took on the challenge of promoting the first ever Tacos N’ Tequila Fiesta in Greenville, SC. Being the first event of its kind in the area, the firm focused on creating buzz around the event using both social and traditional media. 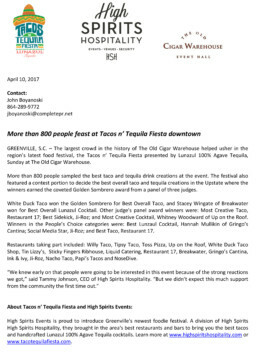 Complete Public Relation went beyond only promoting the 2017 event, and continued to reach out to other media outlets to drum up excitement surrounding future Tacos n’ Tequila fiestas. The firm developed a media kit with written pieces and photos detailing the event preparation and recap so that writers are able to quickly access Tacos n’ Tequila media details.